Park View High School’s driver’s education students had a congresswoman and a Fortune 500 company join forces today to reemphasize part of their curriculum: No distracted driving. 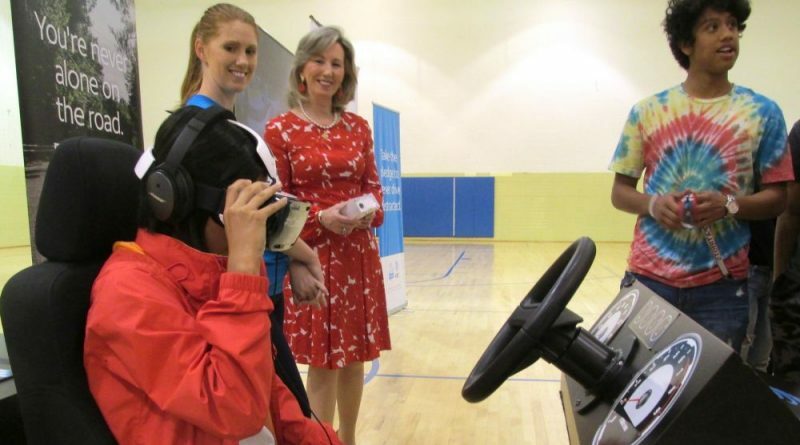 Rep. Barbara Comstock (R-10) joined AT&T for a stop on their virtual reality It Can Wait campaign at the high school in Sterling. AT&T, the nation’s largest telecommunications company, started its It Can Wait campaign against distracted driving in 2010, and began incorporating the virtual reality experience into its events in 2015. This is the first time that the company has brought its event to Loudoun. “We launched this campaign because we want drivers of all ages to hear the message: It Can Wait. We’re excited to join Congresswoman Comstock to reinforce this message with the students at Park View,” said Vince Apruzzese, AT&T’s regional vice president for External Affairs in Virginia. Ninety-five percent of drivers disapprove of distracted driving, but 71 percent use their smart phones while behind the wheel anyway, according to Apruzzese. He recounted to the students that he saw plenty examples of distracted driving on his drive up from Richmond this morning. Comstock also spoke to the students before they tested out the virtual reality program. 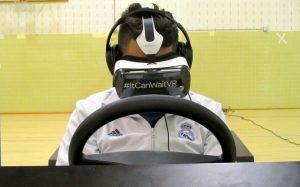 A Park View High School sophomore experiences distracted driving in virtual reality as part of AT&T’s It Can Wait campaign. According to a recent study by the Virginia Tech Transportation Institute, 80 percent of crashes in the commonwealth are due to distracted driving. In 2015, 44 new drivers aged 16 to 19 died in car accidents in Virginia. AT&T’s event comes during the 100 days each year that are statistically the most dangerous for young drivers as they begin summer vacation and spend more time on the roads. By the end of the event at Park View, 350 students had seen the It Can Wait presentation, three days before school lets out for the summer. Park View is the first of three stops AT&T is making in Virginia during its national annual tour. They’ll go to Celebrate Fairfax! this weekend and then head to Roanoke next week. 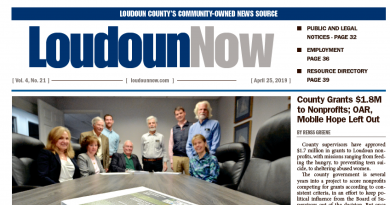 John Patterson is an intern with Loudoun Now. He is studying English and economics at the University of Virginia.